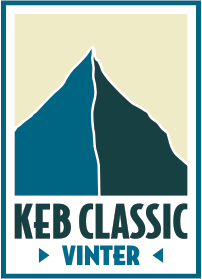 Keb Classic take part out in the swedish wilderness, in alpine terrain and far from the closest roads. 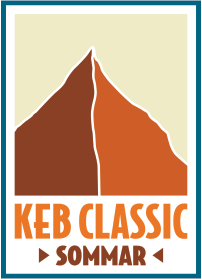 The area and the terrain of the race demands a lot of the organization and the participants. The rules are set after these conditions. Participants are obliged to keep updates with information about the course and rules that the race organization is providing. Registration and payment is binding due to STF’s canceling policy. Minimum age to participate in the race is 18 years old. As participant the information meeting the evening before race day is mandatory. It must be two or three people in the team. And you compete in Ladies, Men och Mixed. The team must keep together during the whole race. Read more under “To forfeit the race”. During the race the participants have to move between checkpoints along the course that are decided by the race organization. The checkpoints have to be passed in the right order before a certain time. The team are obliged to follow the instruction and information the organizations crew gives along the course. Markings along the course have to be followed, for example downhill. All the team members have to pass the checkpoints together with maximum 50 meters between each other. Everyone in the team have to pass the checkpoint. If one member of the team have to forfeit it must be at a manned checkpoint. This means that if a team of three have to split the other two can continue the race. If it’s a team of two the other person have to wait for another team of two to join them and continue the race. This must be done at a manned checkpoint. If a team don’t pass a checkpoint before announced time the person from the organisations crew have the right to stop them from continuing the race. You finish the race when the last member of the team crosses the finish line. A written protest should be given to the race office before 45 minute after the last team have crossed the finish line. This due to a administration fee of 300 sek. The mandatory equipment for the team and the personal equipment have to be carried by the team during the whole race. The personal equipment have to be carried in each team members own backpack. If someone miss anytingh of the mandatory equipment the race organization can disqualify the whole team. Participants can not use drinks, food or other equipment given to them from non-competing people during the race except for drinks given by the organizations crew. Teams can help other teams. 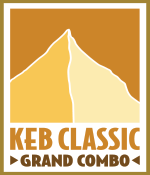 All competitors are obliged to help other participants if there would be an accident at the mountain. If there would be an accident the members of the team must start with first aid and call for help. To participate in the race all of the team members have to know how to rescue someone if there would be a avalanche. This you can learn at the clinics during Thursday. To compete along the alpine course all of the team members have to know how to safety move on glaciers. This you can learn at the clinics during Thursday. To participate in the race all the team members have to know how to navigate with compass and a map in all weather and during winter conditions. The team miss a checkpoint or pass them in the wrong order. The team can’t show all of the obligatory equpment when asked to. The team won’t stick together. The team are not following the rules or the instructions given by the race organization before and during the race. The team are showing real sportsmanship. The team do or show something that the organization couldn’t fortell but are judged reckless with considiration to the environment, conditions, safety and sportsmanship due to other competitors. To change the course due to conditions on the mountain. To stop teams to continue the race if they don’t have passed a checkpoint before the announced time. Unanimously decide about protest received. To reservations for clerical error or other changes. Spade with shaft where the blade is 20×20 cm, not modified. Probe, minimum length 240 cm and minimum 10 mm in diameter. Your transceiver must be in send mode and close to your body. Minimum battery level at start 80% . Helmet, the helmet should be a certified ski and climbing helmet. Skis, minimum 90% of the length must have steel edge. The skis have to be a least 160 cm for men and 150 cm for ladies. The boots have to be over the ankles and have a rubber sole. It must be possible to attach crampons correctly. Telemark, alpine, randonné boot and snowboard boots that fulfill the requirements are allowed. Climbing harness and a CE-certifed repelling device. Competitors in Ski Touring can borrow this equipment. Food to manage the day. 2 pair of gloves, at least one pair that’s warmer. Windproof jacket and trousers to put over the race suit if it’s not wind or waterproof. 1 compass that everyone in the team know how to use. Mobile phone with Telia or Halebop as operator, that’s the only ones working in the area but still not along the whole course. The teams phone number must be registrated at the race office at the equipment check. At the race meeting you will get the number to the race office. All climbing gear must me CE/UIAA certified and made for climbing and not modified. 2 Prussik fitted for the rope’s dimension, at least 5 mm in diameter. Repelling device or other gear made for repelling. HMS-knot are not allowed. 2 Slings, minimum 60 cm in length. Crampons with with 10 spikes or more, 2 of them in the front, not modified. The crampons must have straps to attach around the wrist. When not used, store in the backpack. Rope 30 meter, 7mm or more in diameter. Map with the valid course. Repelling gear for competitors in Ski Touring and for the solo sprint for the ones that don’t have. The equipment will be controlled the day before the race and after finish both days. If anything is equipment is not clomped the team can be disqualified. The race organization has the right to fail equipment that they find defect or not suitable for the race. Some of the equipment is possible to rent att STF Kebnekaise mountain station, please contact us is in advance if you want to rent anything. If you have any questions about the equipment don’t hasitate to contact us with an email.